Continuing on David Hume’s Dialogues Concerning Natural Religion (1779), with guest Stephen West. We get further into what’s wrong with the design argument and why Hume thinks that it’s merely a verbal dispute whether we want to say that God designed the orderly universe or just say that the universe is orderly. Also, the problem of evil! Listen to part 1 first, or get the ad-free, unbroken Citizen Edition. Please support PEL! End song: “Shittalkers” by Ken Stringfellow, as interviewed on Nakedly Examined Music ep. 39. Check out the St. John’s College Graduate Institute: partiallyexaminedlife.com/sjcgi. On David Hume’s Dialogues Concerning Natural Religion (1779). How should the scientifically minded argue for God’s existence? Is the order and complexity of nature enough to prove an infinite God of the traditional sort? With guest Stephen West. Don’t wait until next week for part 2; get the rest of the discussion now with your ad-free Citizen Edition. Please support PEL! To capture your real-life hero’s story, visit www.en.familysounds.net/podcast and get a discount with promo code PEL. On David Hume’s Dialogues Concerning Natural Religion (1779). How would a scientifically minded person argue for the existence of God? In Hume’s dialogue, a character named Cleanthes argues from this point of view for God’s existence based on the complexity and order apparent in nature: It looks designed. But how good is that argument, and is it enough to prove an infinite God of the traditional sort? With guest Stephen West. End song: “Here Comes the Flood” by The Security Project. Listen to Mark’s interview with Trey Gunn on Nakedly Examined Music #21. Watch a video introduction to David Hume’s Dialogues Concerning Natural Religion where he considers the argument from design. Does experience ground the inference from the orderliness of nature to a divine creator? Michael Burgess discusses how moral philosophies often require an ideal or transcendent view from which actions can be judged and how this manifests (or doesn’t) in contemporary individualism. No Self, but a Subject? Discussing parts of David Hume’s Treatise of Human Nature (1740) and Adam Smith’s The Theory of Moral Sentiments (1759). Where do we get our moral ideas? Hume and Smith both thought that we get them by reflecting on our own moral judgments and on how we and others (including imaginary, hypothesized others) in turn judge those judgments. We lay out the differences between these two gents and discuss whether their views constitute an actual moral theory or just a descriptive enterprise. With guest Getty Lustila. End song: “Honest Judge” by New People, from Impossible Things (2011) Download the album. 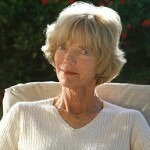 We spoke with Patricia Churchland after reading her new book Braintrust: What Neuroscience Tells Us About Morality. We also discussed David Hume’s ethics as foundational to her work, reading his Treatise on Human Nature (1739), Book III, Part I and his Enquiry Concerning the Principles of Morals (1751), Section V, Parts I and II. Learn more. End song: “Bring You Down” by The MayTricks from Happy Songs Will Bring You Down. Patricia Churchland on her new book Braintrust: What Neuroscience Tells Us About Morality. We also discussed David Hume’s ethics as foundational to her work, reading his Treatise on Human Nature (1739), Book III, Part I and his Enquiry Concerning the Principles of Morals (1751), Section V, Parts I and II.